our latest crop jacket is this season's essential. 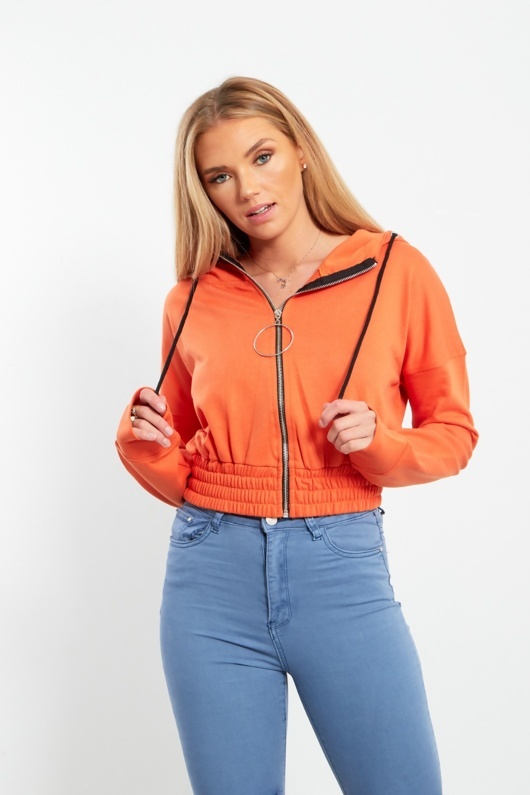 coming in a orange hue, with a hood and cropped fit, this is one head turner you wont wana miss. for total urban glam team over skinny jeans and trainers.